This weekend the sun has finally been out if force and we've had a wonderfully hot and bright weekend. 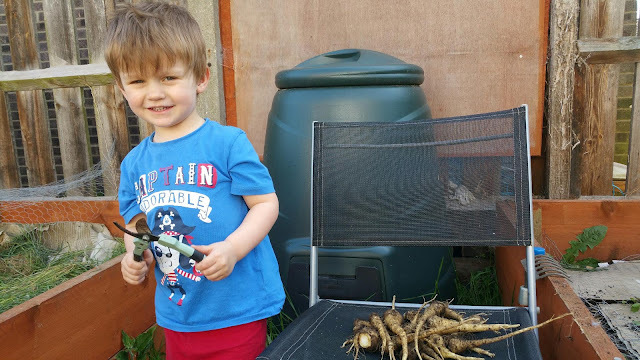 Whilst Carly was upstairs sewing me and the kids finally got the chance to dig up the parsnips and harvest the leeks before it was too late. I was holding Aurora the whole time and had to do everything one handed so Logan helped by snipping off the tops. To be completely honest letting Logan use the snips was the safest thing to do, when we moved on to cutting the leeks I tried to use them myself with Logan holding the leeks and he fidgets his hands around so much that there was far more chance of me snipping his fingers than there ever was of him hurting me when we did it the other way round! Besides that he absolutely loved helping and we had the most fun out there working together, it warms my heart to see him having such an interest in plants and animals. This weekend we also had a Tarot reading night round at the house by our amazing friend Gareth, The Crystal Whisperer. I won't divulge exactly what was said as we each had our own individual readings, but I will say that as always they were mind blowingly accurate and it was an awesome experience for everyone involved. We'd love to hear your thoughts on todays post: How much responsibility is too much for children? and Do you believe it the paranormal? 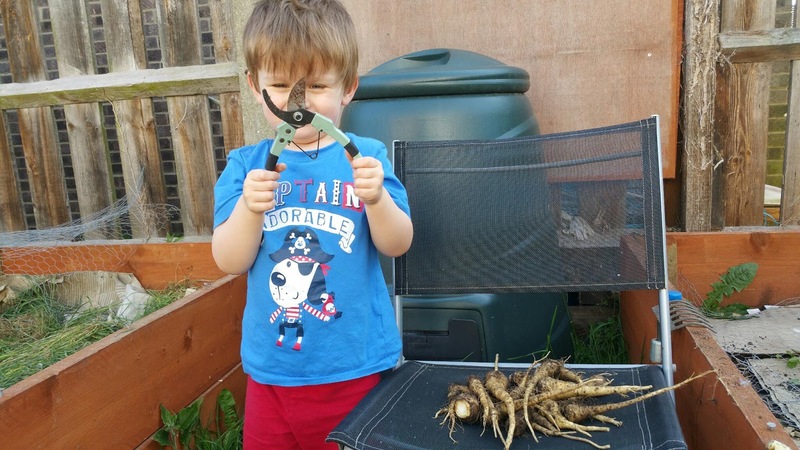 My grandson Sam loves to be in the garden with me, he helps with all task, you are right we have to show children what risk is not wrap them up in cotton wool.